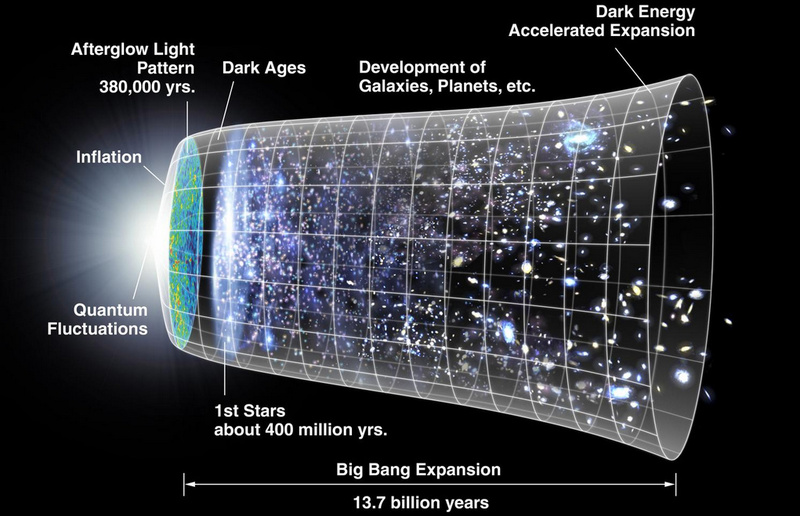 How come some people are claiming that the Big Bang never happened? A news story is going viral on social media networks claiming that two physicists have found a way to eliminate the Big Bang singularity, or in layman's terms (as claimed by many sensationalist news articles): The Big Bang never happened at all. The paper was published in Phys. Lett. B, and it seems to me that the basic idea of the paper is that it takes the Raychaudhuri equation and replaces the geodesics with Bohmian trajectories (from Bohm's quantum analogue of the Hamilton-Jacobi equation). I do not hold any expertise in this area, but from whatever little I have understood (and as explained by a friend of mine, who may very well be wrong), if we do a few substitutions on this quantum Raychaudhuri equation, we would get the Friedmann equations with a few extra terms, one of which looks like a cosmological constant and another of which eliminates the Big Bang singularity. Now my question is: How legitimate are the claims of the authors of this paper? And if it holds any merit, does it really eliminate the Big Bang singularity? 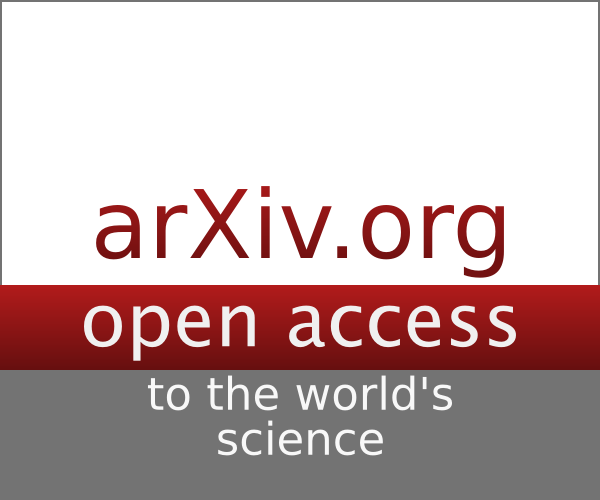 I'm not a quantum cosmologist, but I am an early-universe cosmologist, so I can give you my opinion after having read this paper. The article claims that Bohmian trajectories is a valid replacement for geodesics. This was claimed in the very beginning of the paper and not much is offered in the way of defense for this assumption. That's not to say that it's an invalid assumption, it's just that hands have been waved and they said "Geodesics are not the trajectories you're looking for. You can use Bohmian trajectories. Move along." Next what they do is refer us to another few papers where slightly different problems have been approached using similar but slightly different methods and they say (not an actual quote) "using a similar result to these works, and making arbitrary but not illegal substitutions, we recover the Friedman equations with higher order corrections" That's all well and good, but did you actually do the work or did you pull the result from the similar yet different problems. And the substitutions you made make no sense. From here, the interpretations they offer are fairly evident. Using Bohmian trajectories has necessitated that there is no initial singularity. They also find the correct magnitude for a cosmological constant in one of the corrections because of how they approach it. There's a complicated term that involves unspecified real-valued functions and they replace this with things corresponding to the graviton mass that would be expected to give the current value of the cosmological constant. Then, they find though some fancy footwork and more "convenient" substitutions that the term would result in a cosmological constant that is related to $c^2/H_0^2$, which results in the correct order of magnitude. They also show that with the Bohmian trajectories, the age of the universe tends toward infinity. What confused me here is that they used the standard method of calculating the age of the universe; the method that was designed for use with the Big Bang model. Essentially, they try to find the time since the singularity, but they automatically removed the singularity by using Bohmian trajectories. So it's obvious they should find infinity. Nonetheless, all of the science presented in the paper is valid. The problem is that it relies so heavily on science not presented in the paper. If what they've done is correct, then the interpretations is also correct. However, there's altogether too much handwaving and unintuitive assumptions made for me to accept it without further study. And as said before, a lot of it seems to rely on similar but different approaches that were used to address similar but different problems by other physicists. This is probably why the media has been able to go nuts with it. There's not enough in this paper to say it's wrong or to explicitly discredit it. There's also not enough to accept it or to use it to discredit other theories. The media sees it has the possibility of being right and that it has interpretations which don't include a Big Bang and they swarmed on it. But this paper doesn't say there wasn't a Big Bang; it says the Big Bang wasn't necessary. At best, this paper makes the possibility of no Big Bang equally likely as having a Big Bang. But I don't want to sound overly pessimistic. My stance remains that if the assumptions they made are correct and if the work they did outside of their writings is correct, then the interpretations they present could be correct as well. While this work certainly investigates an interesting point, I think simply replacing geodesics in GR with similarly looking quantum trajectories does not solve the issues here. Finding the Friedmann equations while assuming large-scale homogeneity and isotropy is no surprise to me. There are a number of people working on so-called Big-Bounce Cosmologies. In those models, there is no big bang singularity - trajectories of particles can be followed through a very dense state of the universe that only appears singular if you don't look hard enough (like a needle's tip is not actually a "point", but if you look close enough every needle tip will be round). The issue at hand then is if you believe the mechanism by which you create the big bounce. To have a bounce, you need to make a converging universe expand all of a sudden. This is a very weird behavior for the Hubble parameter around the bounce. Within GR this poses a lot of problems, as you have to violate one of several consistency conditions. Even if you can construct the bounce itself within a current theory, it is hard to believe that unknown quantum gravity effects should not play a role in this turbulent and dense phase of the cosmic evolution. In my opinion, there certainly are a number of interesting aspects to big bounces, but personally I consider this to depend on quantum gravity, which we don't understand or even know yet. There are a number of models for the universe over the years. The Big Bang as you show it in the figure has become the "standard model" for the creation of the observed universe as we know it because it fits observations, i.e. data, using known theories and behaviors from elementary particle theories. This model has been evolving as data are added in our data banks. When I studied cosmology back in the sixties the Big Bang did not have inflation. Inflation was forced by the cosmic microwave background radiation data that came much later than my studies. How much impact a new proposal has on research comes from the immediate peer acknowledgment in citations to the publication. If one goes to INSPIRE-HEP one finds one citation since the publication in November 2014, so it is not taking the peers by storm. One cannot do physics through social media and the popularity of TV programs. Does it really eliminate the Big Bang singularity? Well, a different model may eliminate the need for a singularity to describe the data, but I do not think that this paper incorporates all the inflationary history and the plethora of data in its sketchy model. It is not my field and will wait for somebody else to discuss the content, but we have a Greek proverb: "When you hear of many cherries carry a small basket." Not the answer you're looking for? Browse other questions tagged cosmology spacetime big-bang quantum-interpretations singularities or ask your own question. Does big bang have really any justification while we are living within a huge chaos? Where does the light of the Big Bang come from? How can the Big Bang singularity exist in spacetime if it has zero volume? How do we know what happened during the Big Bang? What happened during the Planck Era of the Big Bang? What are the evidences of the big bang theory? Where did the energy for the big bang come from? Is the Big Bang a naked spacelike singularity?